The Fan Network brings you live webcasts of this week's DCI Premier Events from Houston, Texas on Thursday, July 22 and Friday, July 23. 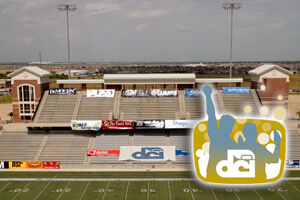 The DCI Houston event presented by The exSIGHTment of Sound, will showcase the competitive performances of 22 World Class corps. Pacific Crest — 7:17 p.m. The Academy — 8:08 p.m.
Blue Stars — 9:16 p.m.
Carolina Crown — 9:33 p.m.
Santa Clara Vanguard — 10:07 p.m.
Teal Sound — 7 p.m.
Madison Scouts — 8:08 p.m.
Blue Knights — 8:42 p.m.
Boston Crusaders — 8:59 p.m.
Phantom Regiment — 9:16 p.m. The Cavaliers — 9:33 p.m.
Blue Devils — 9:50 p.m. The Cadets — 10:07 p.m.
You have several ways to watch these webcasts: For $14.95 per day, the pay-per-view option will grant one-time access to watch all of the performing corps in Houston. Or, purchase a Fan Network Plus, Premium SD or Premium HD subscription for complete access to all 2010 webcasts, on-demand replays of select DCI Tour events, discounts on downloadable media, and more!